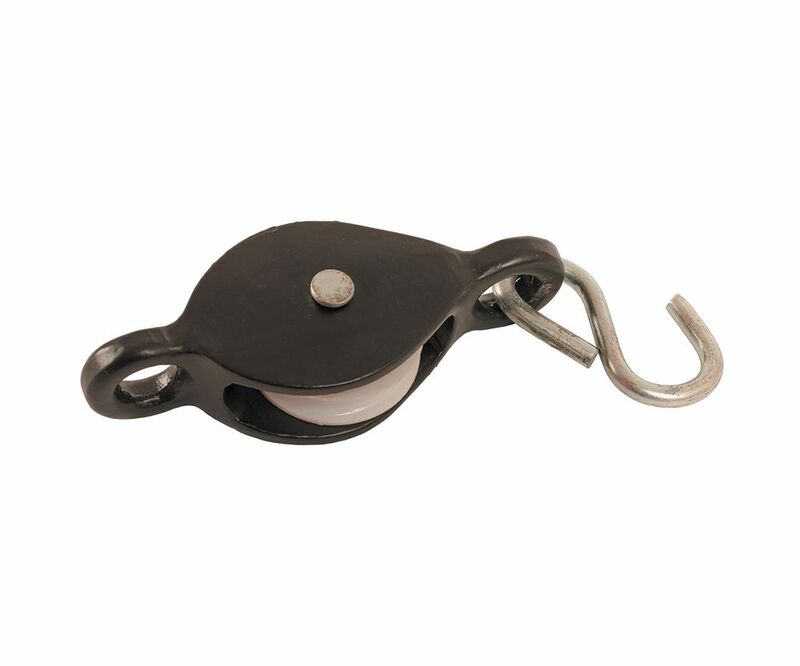 The Single Nylon Wheel Cast Pulley with Hook features a cast iron body with a choice of black or galvanised finish, a nylon wheel and an S hook from which it can be hung. Ideal for raising and lowering light objects such as small hanging baskets, tarpaulin or ceiling mounted clothes airers. The wheel measures 38mm and is suitable for rope upto 6mm.